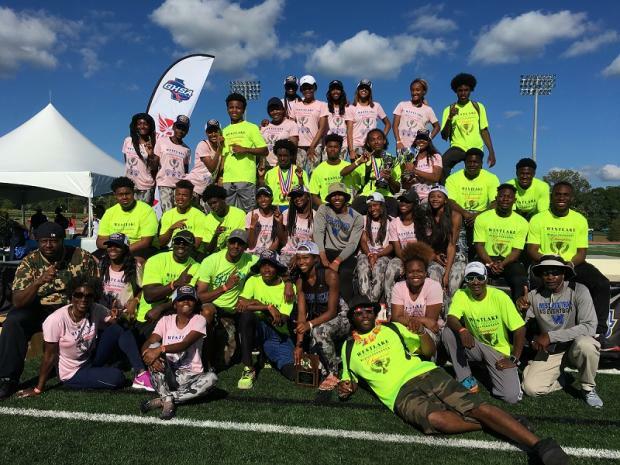 Westlake pulled off the ultimate for a HS Track Program, when its Boys and Girls teams ran the gauntlet at 'Valhalla' and came out as State Champs. 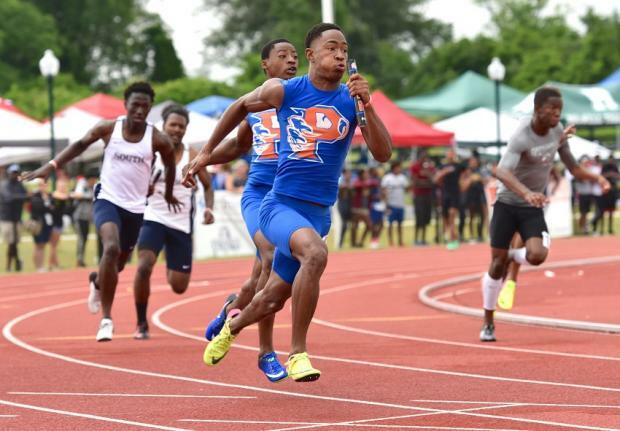 Westlake began finals Saturday with 18 points, things began to change with the 4x100, though Parkview made a nice comeback the final leg taking a photo finish win in 41.51 by .03 over Westlake. 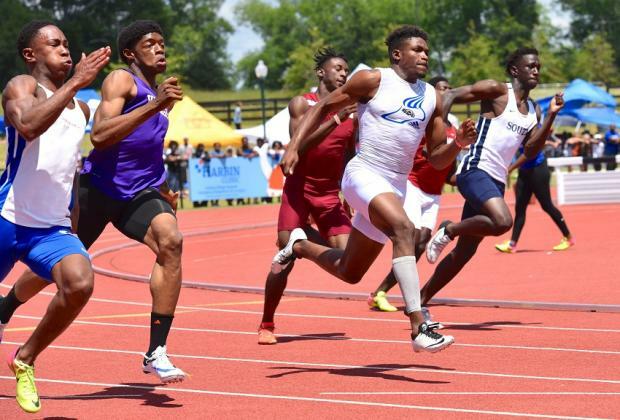 The Lions scored in many events: Rashaad Pollard was 2nd in the 100m (10.61), killed it in 110h as Murray (13.84) and Anderson (13.92) swept the top 2 spots. 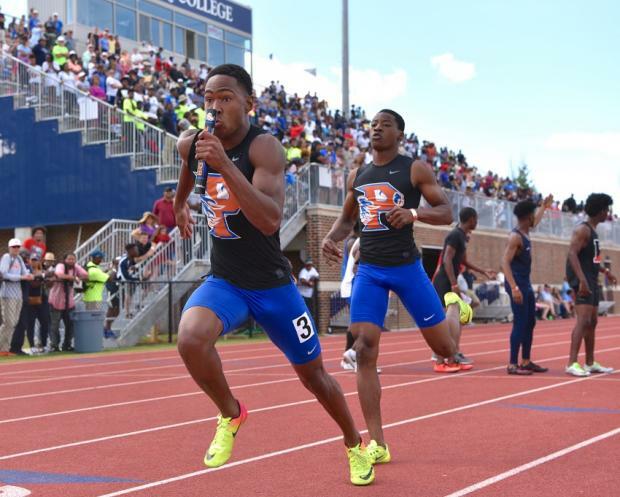 Murray came back in the 300h taking 2nd (37.86), and with the title clinched, took 4 victory laps in the 4x400. Murray also won the LJ with a winning leap of 24-5. 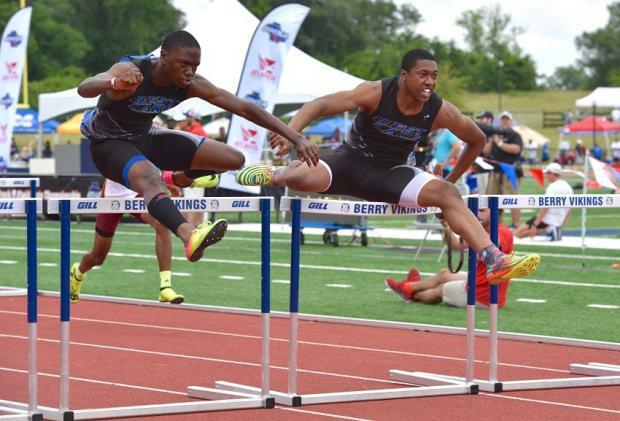 Torique King had a pair of 6ths in the HJ/LJ and Caleb Dixon tied for 6th in the HJ. 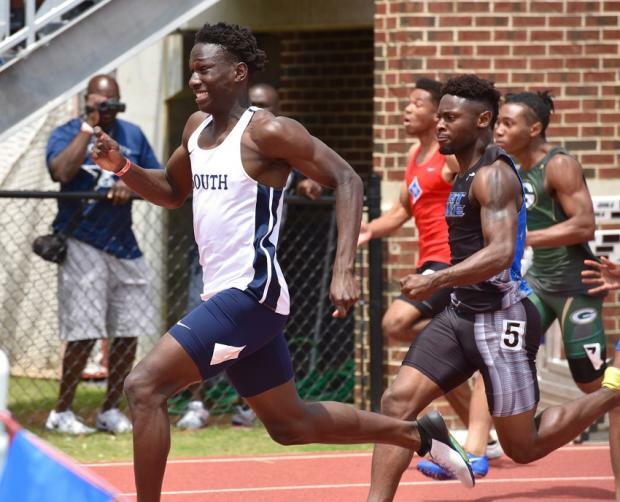 Shiloh had a nice meet taking 3rd with 44 points, led by Julian McDuffie's 300h win at , 2nd in the TJ at 46-3.75, 3rd in the 400m at 47.97. The Generals also place 2nd in the 4x400 and 6th in the 4x100.3rd in the 400m at 47.97. The Generals also place 2nd in the 4x400 and 6th in the 4x100. 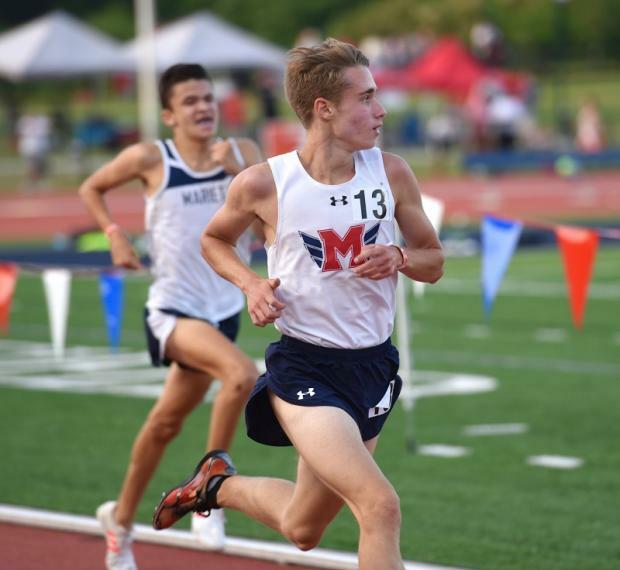 Milton took the final Podium spot with 39 points, led by Sam Bowers 3200m win ( 9:16) and 3rd in the 1600 (4:16.41), Michael Malkowski took 2nd in the 1600 at 4:15.63. Matthew Mazzacano took Bronze in the PV with a bar of 14-0 and Davis Smith was 5th in the LJ with a mark of 22-8. 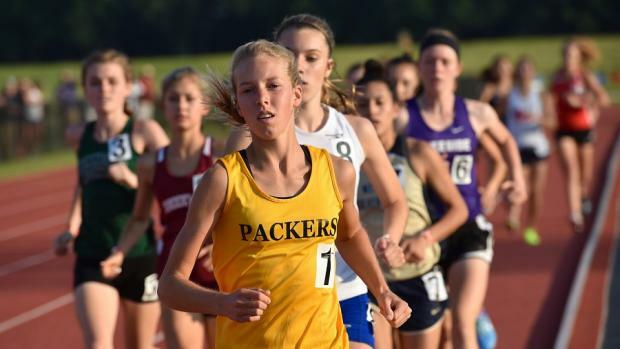 Campbell had a fantastic run in 7A Girls finishing 2nd atop the Podium only 4 points behind Westlake. 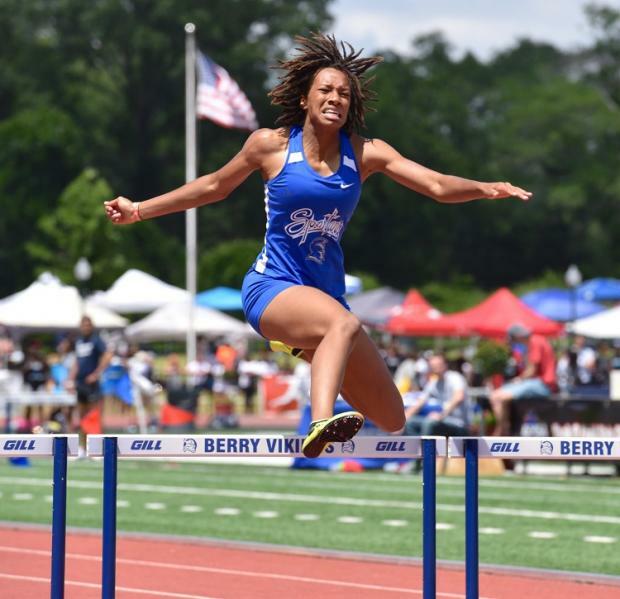 Alexis Jones was fantastic sweeping both hurdles events in 13.92 and 42.34. 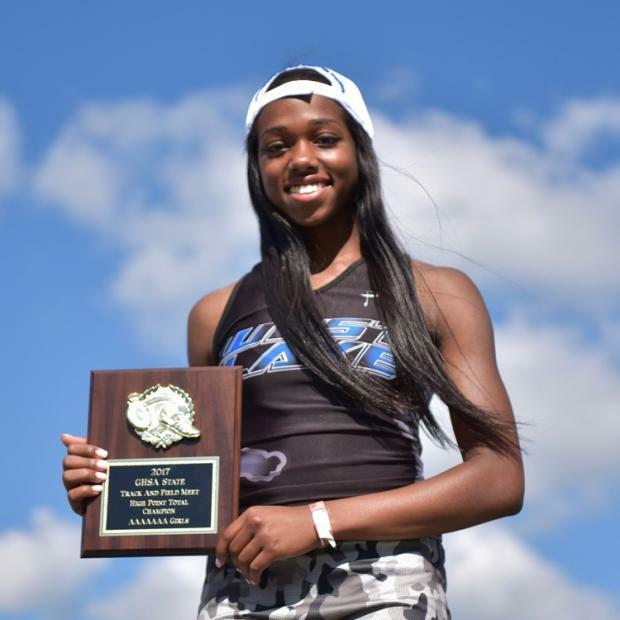 She placed 2nd on a JD in the LJ with a mark of 18-11.75. 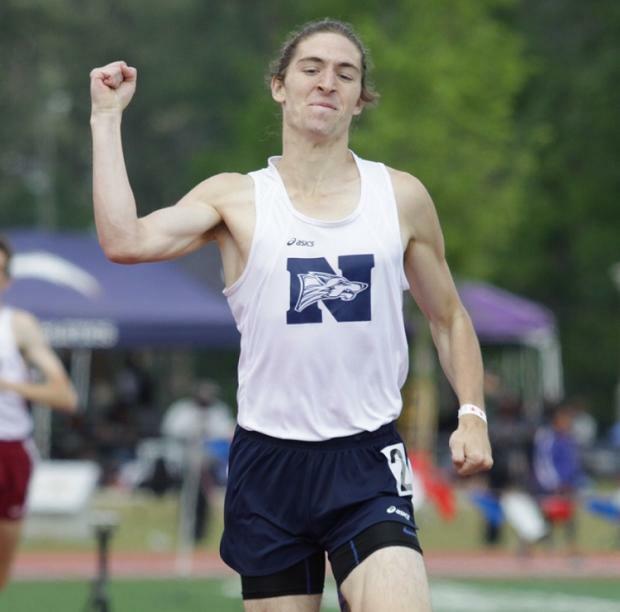 Ashton Lindley took 2nd in the 300h (43.07) and 3rd in the 400m (55.02) The Spartans took Silver in the 4x400 (3:52.32), and Rachel Robertson won a Bronze in the TJ (38-09). 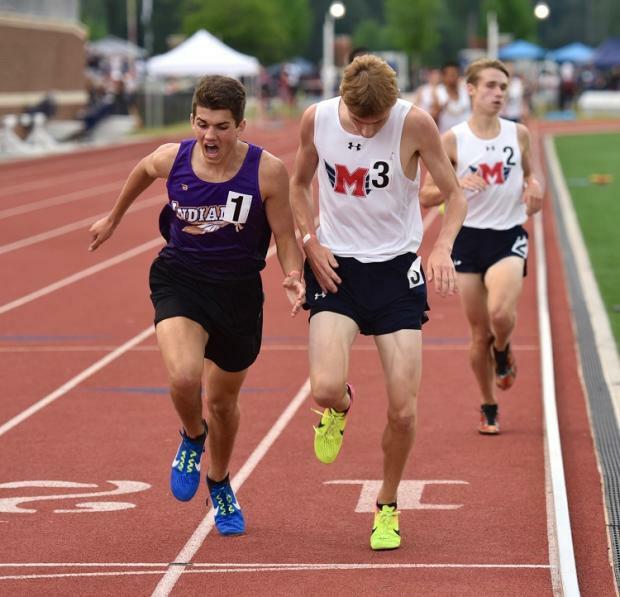 McEachern fought hard till the end, coming up 4 points short taking the 3rd team Podium spot. 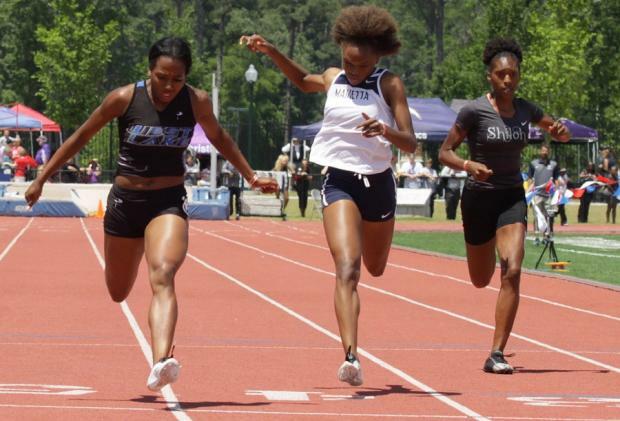 The Lady Indians began their campaign on the field Friday by sweeping the top 2 spots in the TJ behind Victoria Agyin's huge leap of 40-09, followed by team mate Royce Johnson's 39-10.25. Agyin picked up a 6th in the LJ. 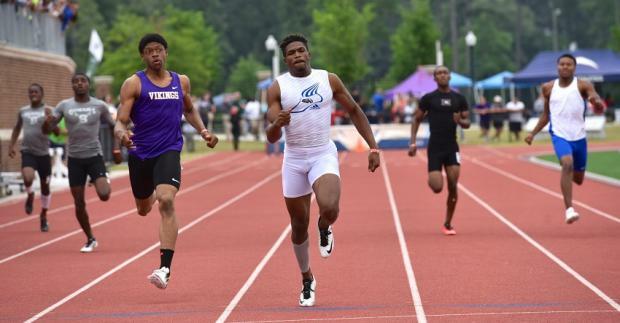 McEachern got off to a quick start Saturday, taking 4x100 Gold at 46.63. 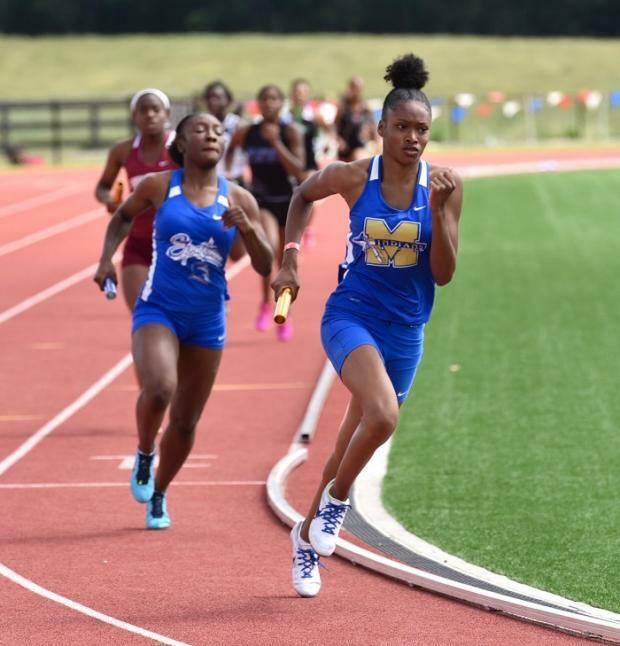 Nilaja Florence took Silver in the 100m at 11.87 (bested by .002) She later kicked up a 4th in the 300h (44.07) Rayna White scored hurdles points as well, taking 2nd in the 100h (14.22) and 7th in the 300h. Tamiya Roberts had a pair of 6ths in the 200/400. 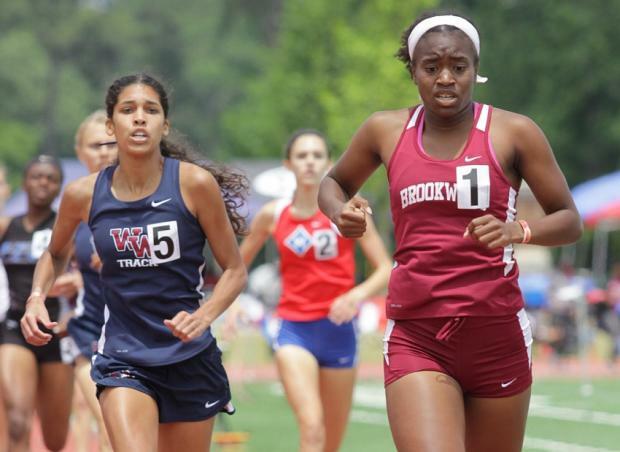 Brookwood ascended the Podium 4th with 38 points led by Mackenzie Ellison's 800m win (2:14.70) and Bronze in the 1600m at 5:01.97 and Caitlan Tate's 100m Gold at 11.87 and 5th in the 200m (24.50) The Lady Broncos took 4th in the 4x400 (3:53.10) and Imani Harrison took 6th in the 100h.